Fresh off a second-place primary finish in New Hampshire, Republican presidential candidate John Kasich has come under more scrutiny, particularly for donations to his PAC New Day for America made by two fund managers who made billions for George Soros. Scott Bessent and Stanley Druckenmiller contributed $588,375 to the Ohio governor’s “soft money” fund, according to Federal Election Commission records. Druckenmiller donated a total of $103,375 to Jeb Bush’s Super PAC Right to Rise and $100,000 to America Leads, a PAC supporting New Jersey Governor Chris Christie, who dropped out of the race after a poor showing in Tuesday’s primary. Bessent was Soros’s chief investment manager until December of last year, while Stanley Druckenmiller manages a $4.5 billion hedge fund in which $2 billion of Soros’ money is invested. Druckenmiller’s donations are made on behalf of the Duquesne Family Office, a fund management company in which he has invested. Druckenmiller was lead fund manager for Soros from 1998 to 2000, and together they “broke” the Bank of England in 1992 when Soros dumped £10 billion, leading to the currency’s devaluation and $1 billion in profit for him. Ohio Governor John Kasich came in second in the New Hampshire primary with 15.8 percent of the vote, edging out Ted Cruz with 11.7, but falling well-behind Donald Trump’s 35.3. Kasich spent 18 years in Congress before becoming a managing director for Lehman Brothers from 2001 until their collapse in 2008. He also hosted a program for the Fox News Channel. 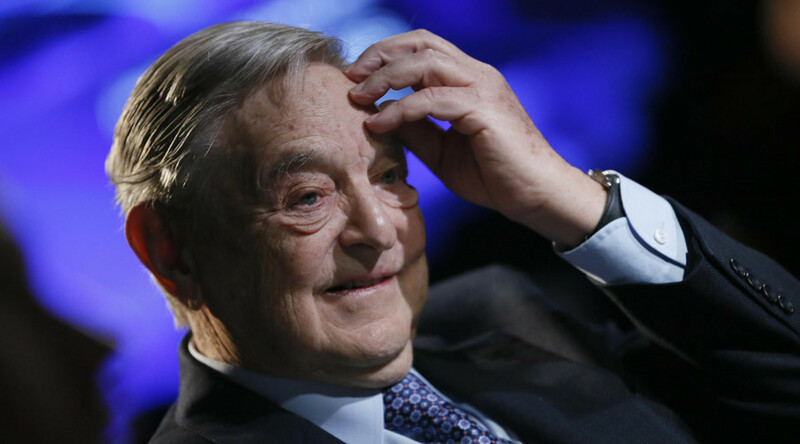 These donations have been getting a lot of attention because Soros is usually known for his support of Democratic candidates and progressive causes. He’s been a Barack Obama donor going back to his US Senate race in 2004, and more recently gave $7 million to Hillary Clinton’s super-PAC Priorities USA Action in 2015. In an interview with Bloomberg, Soros accused Trump and Cruz of “doing the work of ISIS” through fear mongering.